With a vibrant culture and history, San Antonio is loved by locals and visitors alike. From the celebrated Alamo to the famed Riverwalk, this city is a perfect setting to pop the big question! With romantic spots and hidden gems, San Antonio has no shortage of great places to propose. 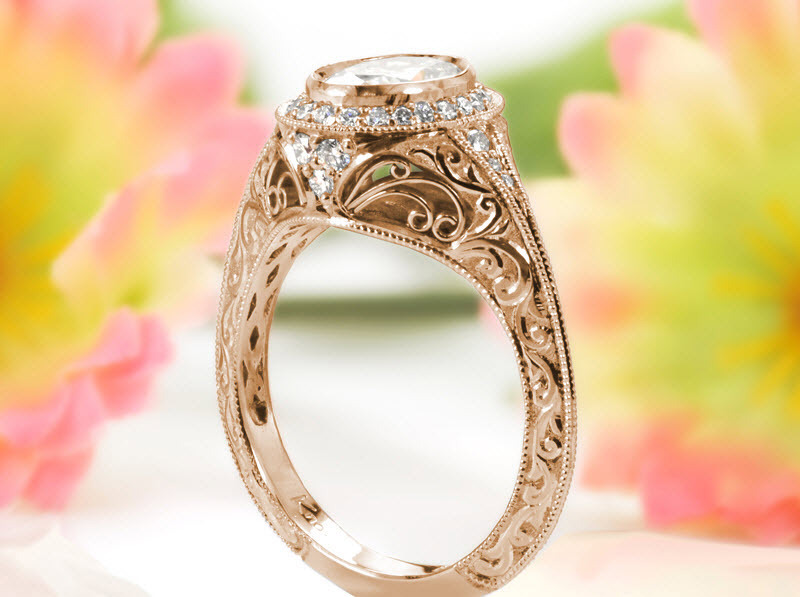 And with a vast selection of engagement rings that’ll make their jaw drop, Knox Jewelers will help you on your search for the most important piece of jewelry they’ll ever wear. 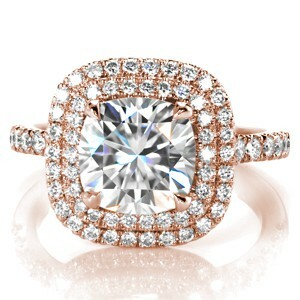 If you are thinking of proposing with a rose gold engagement ring in San Antonio, we have just what you’re looking for! Perhaps the most romantic walk in San Antonio, the Mission Ridge Trail meanders through lush ecosystems and past four historic missions, making it impressive to both nature lovers and history buffs. Come at dusk, and take in the scenery as you walk hand in hand along the trail. 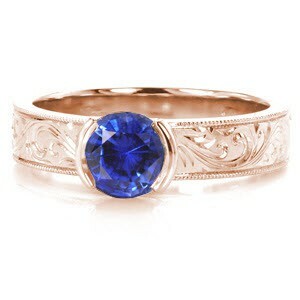 Talk about all the history around you and tell your sweetheart that you want to create your own history together. 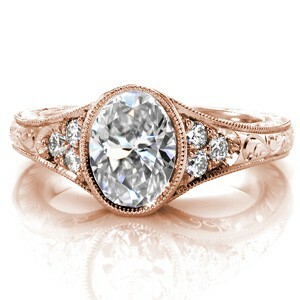 The unique rose gold engagement ring from Knox Jewelers in your pocket will match the sunset hues dancing in the sky. Pull the box out of your pocket and get ready for your life to change! After the walk of a lifetime, celebrate your love with a delicious food at the renowned Biga on the Banks. With a seasonally changing menu that features only the freshest ingredients and sweeping views of this iconic part of the city, it’s no wonder Biga was voted the best restaurant on the Riverwalk. Enjoy a slow dinner and make a toast to joining your lives together! For a true Texan proposal, plan a night that revolves around country music and dancing! Famously known as the oldest dance hall in Texas, Gruene Hall is just the place to get your groove on. Located in the historic small town of New Braunfels, a night at this iconic venue will make you feel as though you’ve taken a mini vacation, even though you’re just outside San Antonio. Known as a two-stepping venue as well as for its live music, Gruene Hall has a mix of charm and energy that has drawn big names, like George Strait. Dance the night away to amazing music and make memories that will last a lifetime. When you need some fresh air, step outside and take a stroll along the Comal River, which makes a perfect backdrop for the question you’ve been dying to ask. If the way to your honey’s heart is food, start your day meandering past the rows of vendors at the Pearl Farmer’s Market. Stroll hand in hand past stands with colorful vegetables and locally made honey and gourmet candies. Pick out ingredients for a meal you won’t soon forget. Once your hands are full of fresh produce, head back to your home, turn on some tunes, pour a couple glasses of wine and spend the afternoon cooking up some romance. Your meal, however delicious, will be overshadowed when you get down on one knee and ask your sweetie if you can be their sous chef for life! 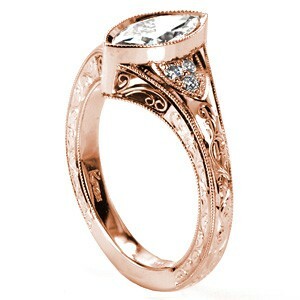 With a tasty homemade meal, wine and a rose gold engagement ring from Knox Jewelers, there’s no way they can say no! 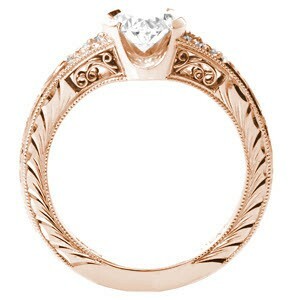 Don’t let the search for the perfect ring stress you out. 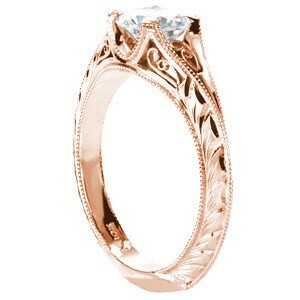 Knox Jewelers is proud to have a staff of dedicated and passionate artisans who can help you personally craft a custom ring that’s unique to your sweetheart. 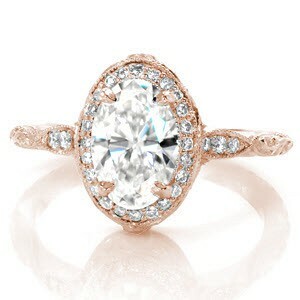 From modern cuts to vintage styles, and rose gold engagement rings to classic bands, we’ll help you create something spectacular. After all, there will be no piece of jewelry that compares to the one you place on their left hand, and we want to help you select one that is just right!